If you are an expecting mom planning to throw a stylish baby shower this fall, you definitely need a theme, colors, treats and a gorgeous outfit to look amazing. Let’s have a look what you can put on for this party to feel comfy and look gorgeous. A neutral dress – white or creamy is a great idea for any mom-to-be. It can be lace or a sweater dress if it’s cold, and you can add a kimono or a cardigan over the dress. highlight the bump with a leather belt, add booties or tall boots and voila – a comfy look is ready! If you want some colorful details, choose bold shoes or a clutch. 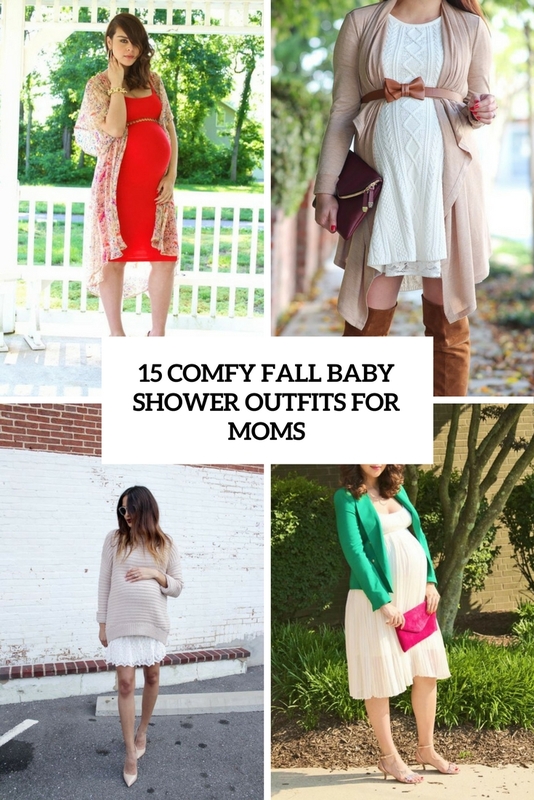 Try to choose comfy items because a baby shower will take some time and you should feel comfy. Fall is the time of bold colors, and why not add a bit of color to your outfit? It can be a blush or a pink dress for a girlish feel, greys are very fall-like, and if you need more color, red or olive green, which are also very popular for the fall. 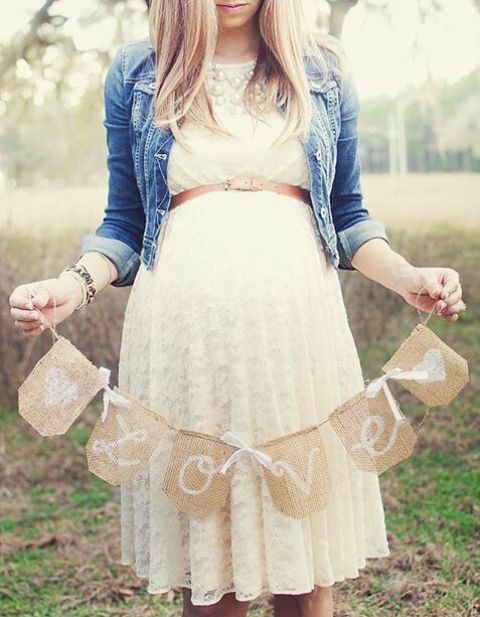 Add chic shoes, maybe lace up ones, a long cardigan and maybe a belt to highlight your bump.